The access control giant — owner of HID Global, Yale, Vingcard Elsafe and more — has unveiled a new platform that allows NFC phones to be used to replace mechanical keys and access cards in homes, hotels, offices, hospitals, universities and commercial buildings. Access control group Assa Abloy has unveiled a new mobile keys platform that works across a full range of access control environments, from homes to hotels, offices, hospitals, universities and commercial buildings. The new Seos platform is described as an “ecosystem for issuing, delivering and revoking digital keys on mobile phones with NFC technology” and will see one Seos logo being used across locks, mobile applications, access cards and websites to indicate compatible hardware, software and solutions. Using Seos, says Assa Abloy, homeowners will be able to send temporary digital keys to visitors, handymen and babysitters from their own mobile phones. Issued keys can then be revoked through the same interface so that owners no longer have to lend out physical keys and worry about them being lost or copied. Hotel guests will also be able to check in and out with their mobile phones and receive digital hotel room keys before arriving at the hotel. “Lines of guests waiting at reception will be a thing of the past and hotel staff can spend more time improving service levels in other ways,” the company says. In offices and commercial buildings, Seos can be used to manage access to rooms and cabinets centrally. Security staff will be able to send temporary digital keys to visitors and service staff wirelessly without having to manage physical keys and access cards and, where additional security is required, Seos digital keys can also be protected by mobile phone PIN codes. Seos digital keys will also work with HID Global’s iClass SE access control platform, allowing both Seos and iClass SE locks to be opened and locked with either an NFC phone or an iClass Seos contactless card. Wider support is also offered via the new addition to iClass SE of support for the Security Industry Association‘s recently introduced Open Supervised Device Protocol (OSDP) standard. “The development team has worked with secure identity and access control experts at HID Global, lock developers at Sargent, Corbin Russwin and Yale, and with hospitality professionals at VingCard Elsafe. As a result Seos can be adapted to different end user needs and local standards. With Seos, Assa Abloy can offer the most flexible infrastructure for digital keys on the market today,” Berg adds. • HID Global will be presenting an NFC World webinar on ‘NFC in Access Control’ on Thursday 25 October. The hour-long webinar is free to attend — find out more and register to attend here. 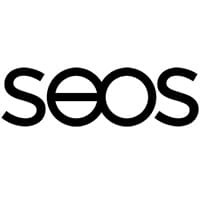 On the card side: Seos is kind of like EMV but for access control (based on open standards). It’s good to see the industry moving away from weaker memory card emulation, like Mifare, that has a limited amount of space available.